Anti-racism campaigners say opening of pig farm at ex-Nazi camp is a "grave offence"
The Czech leader is under fire for supporting the movie. ANTI-RACISM CAMPAIGNERS reacted with indignation today after Czech President Milos Zeman said he backed keeping open a pig farm on the site of a former Nazi camp for Roma people. “These declarations are a grave offence for victims and survivors of the Holocaust and their families,” Miroslav Broz of the anti-racism association Konexe told AFP. The pig farm was constructed during Communist rule in the early 1970s at Lety, a village south of Prague that was the site of a Nazi-era concentration camp where hundreds of people in the Roma and Sinti minorities were murdered in 1942 and 1943. “I am against the liquidation of a company which is prospering, as that would be a loss for the national economy,” Zeman told Czech television on Thursday. “Removing it would cost the taxpayer a billion koruna (38 million euros/$44 million),” Zeman added — a figure his critics contest. 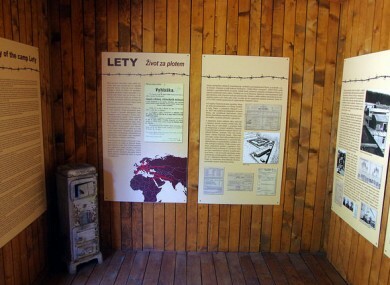 He also appeared to play down the site’s history, suggesting that Lety had housed a “work camp and perhaps a concentration (camp)”. Human rights groups as well as the European Parliament denounced his comments and urged that the pig farm be closed down. The farm’s owner, Agpi, says it does not oppose moving it as long as it receives adequate compensation. Broz slammed Zeman’s “populism” and linked it to what he called “anti-Roma feeling that is at the heart” of Czech society. His view was echoed by Benjamin Abtan, head of the European Grassroots Antiracist Movement (EGAM), who said Zeman’s stance essentially amounted to “denial of what happened in this concentration camp”. About 1,300 Roma were interned at Lety from August 1942 to May 1943, and around 330, including at least 241 children, died there after a typhus outbreak. Many inmates were later transferred to the Auschwitz-Birkenau complex where more than a million people are estimated to have been killed. Under the Nazis, around 90% of Czech Roma were exterminated. Czech culture minister Daniel Herman has previously said he expects an agreement to be reached on the sale of the farm before the end of the year. Email “Anti-racism campaigners say opening of pig farm at ex-Nazi camp is a "grave offence"”. Feedback on “Anti-racism campaigners say opening of pig farm at ex-Nazi camp is a "grave offence"”.